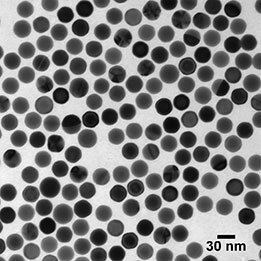 In response to the demand for more uniform gold nanoparticles, we are pleased to offer new PELCO® Highly Uniform Gold Colloids. 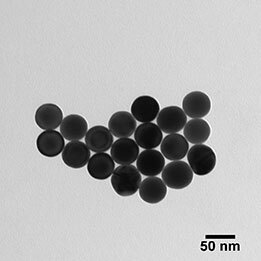 A unique new manufacturing process yields a product with a smoother surface, a consistent nearly spherical shape and less than a 5% Coefficient of Variance in particle size, even at the 10nm size. 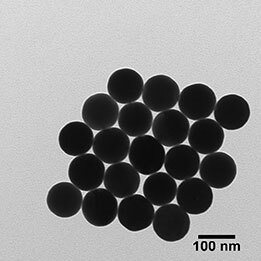 PELCO® Highly Uniform Gold Colloids are ideal for applications demanding the highest uniformity. They are supplied as 0.05mg/ml gold colloid in 2mM Na citrate. 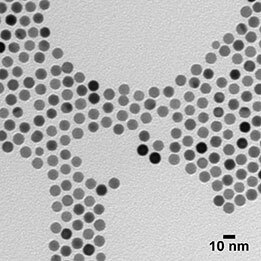 They are capped with PEG-carboxyl and are available in 10nm, 30nm, 50nm and 100nm gold particle size.